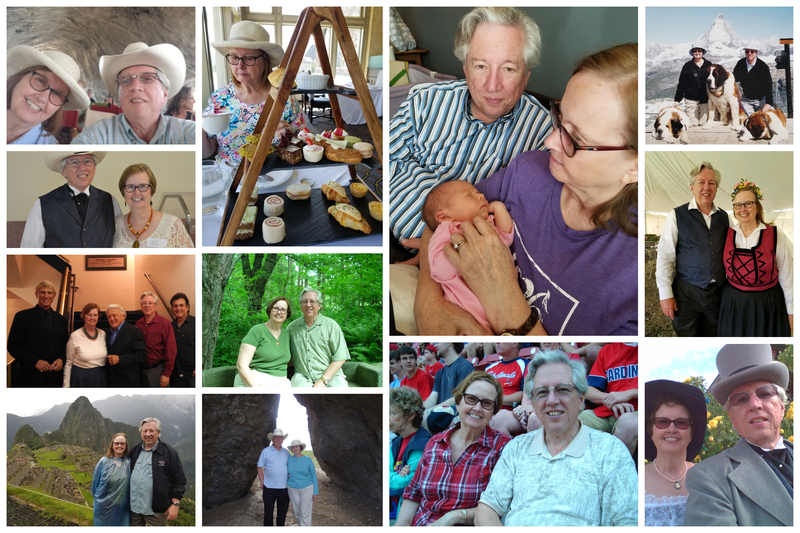 “What are you going to do when you retire?” We ask people ask that question all the time, but rarely do we hear a defined answer like our friends Darryl and Carol Brown have! They don’t have “one thing”….they have thirty-five! They’ve been kind enough to share their list with us and we hope you’ll find it inspirational too! Lie on our backs on the deck and look at the stars with the new constellation app. Spend one Christmas at the cabin. Take a train through the western part of Canada. Do a holiday season in New York and maybe take in the Radio City Music Hall show. See many a sunrise and sunset on the cabin deck. Explore more parts of the West and Northwest and maybe get to Alaska, perhaps on a ferry. Drive across Texas on many back roads. See a performing art we have never experienced before and some famous painting or statue we have never seen before. Drive much of the River Road along the Mississippi. Do a surprise romantic thing every so often (if we said how often, that would kill some of the surprise). Hike up to Sioux Charley and do other hikes in our book. Make up games we can play together, both mental and physical. Hold each other for a long time in a slow, warm rain. Have a snowball fight in an unlikely place. Share something special with someone who is less privileged than we. Take turns writing a serial about some fictional character, maybe a superhero. Explore some of New England and French Canada. Do other overseas trips and record the experiences. See how many famous scenic drives we can do. Continue to sit, kneel, sing, and pray together in church and elsewhere. See a sunrise both atop a mountain and along the ocean shore. Learn some new skill together or teach the other one something we know but they don’t. Ride atop some animal we have never been on before. Do dress up and dress down occasions every so often. Do one trip as all history, one as all art, one as all physical activity, one as all food, and think of other categories. Make a video of us acting a scene together and one of us being ourselves. Visit a location where a miracle happened, one where a movie was filmed, and one where a love affair began. Drive an old-fashioned vehicle, a modem, exotic one, and a fantasy one. Serve together, learn together, cheer together, relax together, care together, be one together. Wow, what an amazing list! Thank you so much Darryl & Carol for sharing your list and some pictures of your journey. Do you have a list of what you want to do in your retirement? Do you know how you’ll get there? Give us a call today, we’d love to hear about your retirement dreams too!